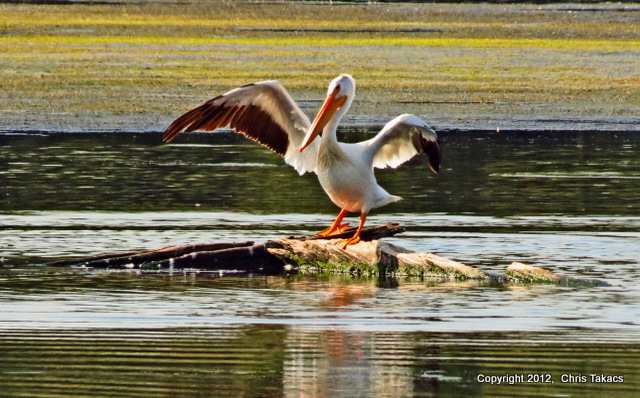 "I saw the American White Pelican this morning at Kearny Marsh East on the north side of the Belleville Turnpike, (Route 7). "I saw the bird 3 separate occasions until it took to the air at 9 a.m. flying off toward Jersey City. 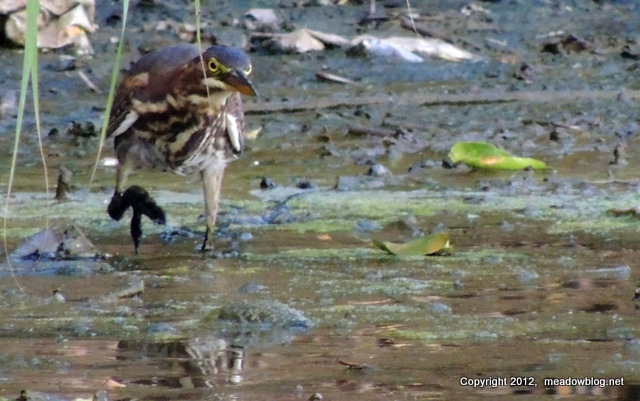 Tricolored Heron was also seen at Kearny East"
We saw two young Least Bitterns and the young Tricolored along the Marsh Discovery Trail on our lunch hour today. 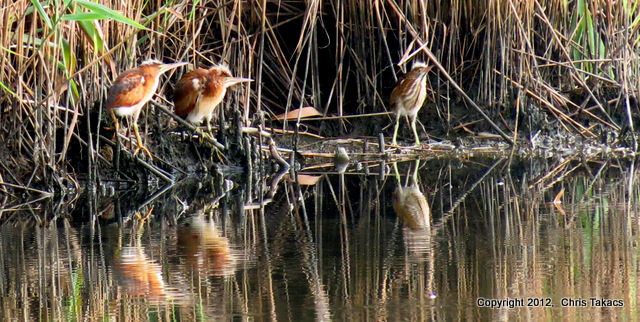 The Tricolored Heron was seen working the shoreline along the East Pool of the Shorebird Pool. We hope to post the full bird list from Saturday's Kevin Karlson Shorebird Day on Tuesday. In all the hoopla surrounding Kevin Karlson Shorebird Day and the great birds we have been getting in the Shorebird Pool, we neglected to post this great shot of a Laughing Gull at DeKorte, taken earlier this month by Stephen Buckingham. 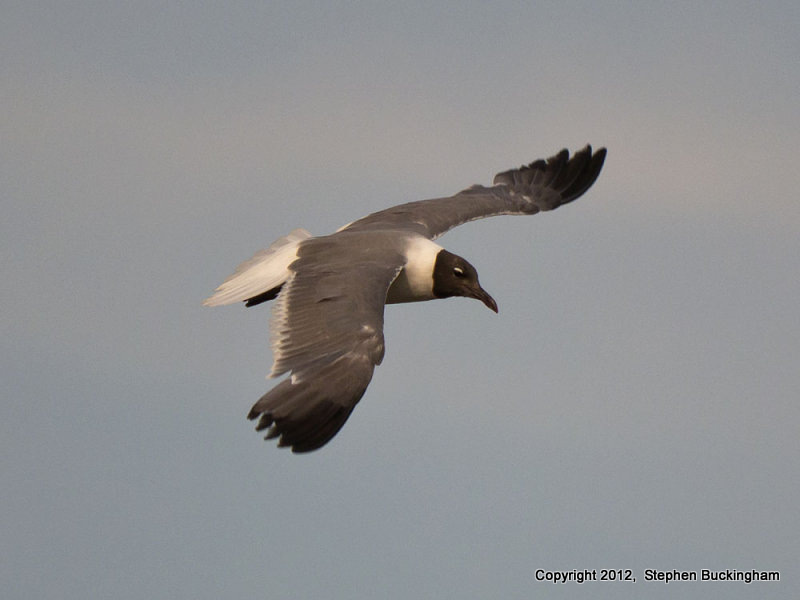 More of Steve's Laughing Gull pics are here. 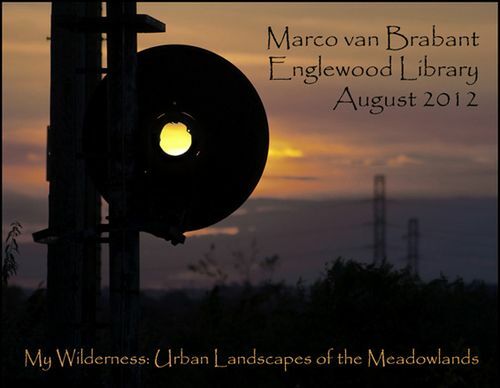 Nature Photographer Marco van Brabant, a major contributor to the Meadowlands Commission's upcoming coffee-table book "The Nature of the Meadowlands," has a gallery show at the Englewood Library throught the end of this month. The show is entitled "My Wilderness, Urban Landscapes of the Meadowlands." A link is here. The library is located at 31 Engle Street in Englewood.